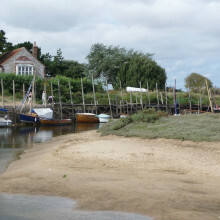 Blakeney National Nature Reserve is an internationally important nature reserve bequest to the National Trust in 1912. 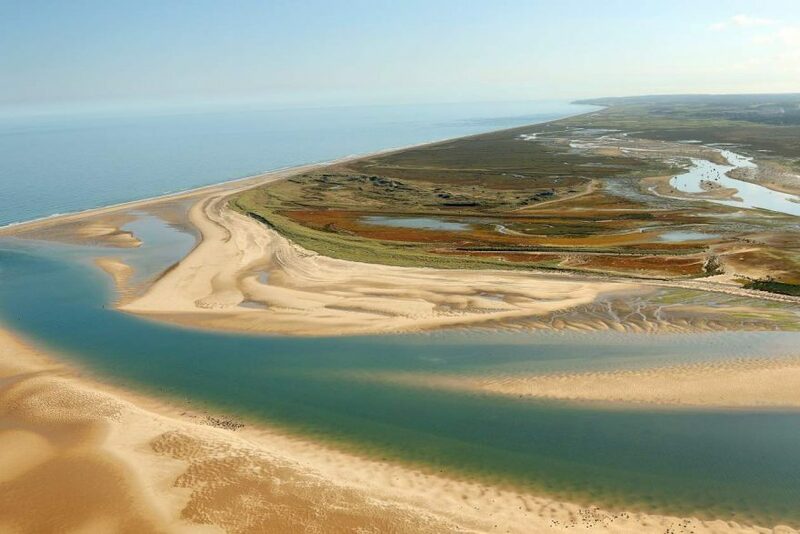 The area is home to a varied range of flora and fauna with Blakeney Point home to a breeding seal and tern colony. This unspoilt stretch of Norfolk coastline offers uninterrupted wide open spaces and breath taking views. 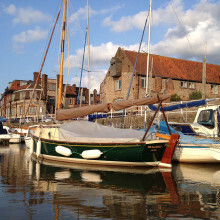 Blakeney village and nature reserve is a beautiful and peaceful place to visit. 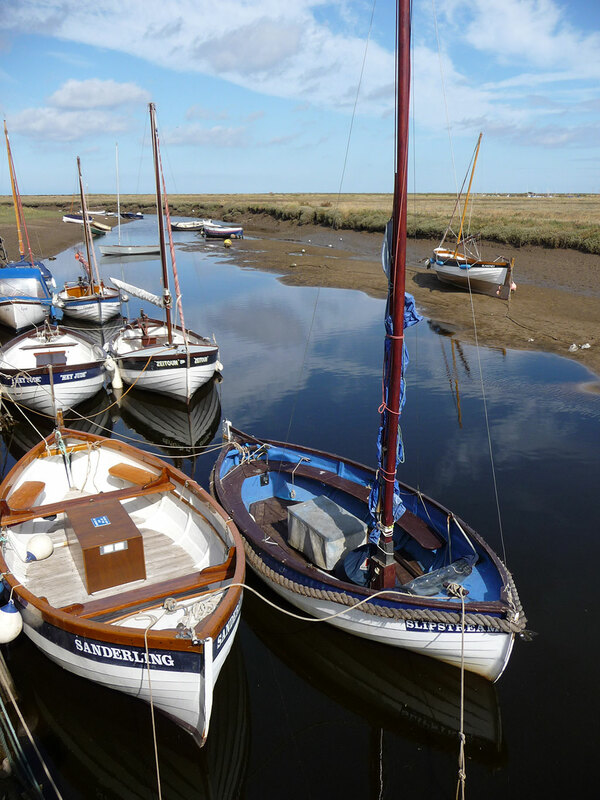 Nature – Enjoy the huge selection of flora and fauna on display, watch the Common and Grey Seals and Terns on Blakeney Point. There are more than 270 species of birds identified here. 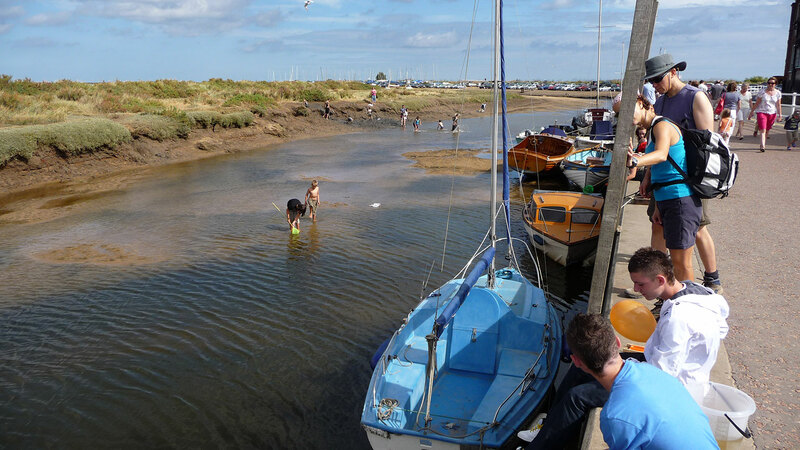 Crabbing – A fun way to spend a Norfolk afternoon! Just collect some fishing line, a bucket and some bait (many of the shops sell complete kits). 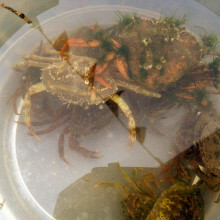 Try your luck at luring crabs on to your line then swiftly put them into a water filled bucket. 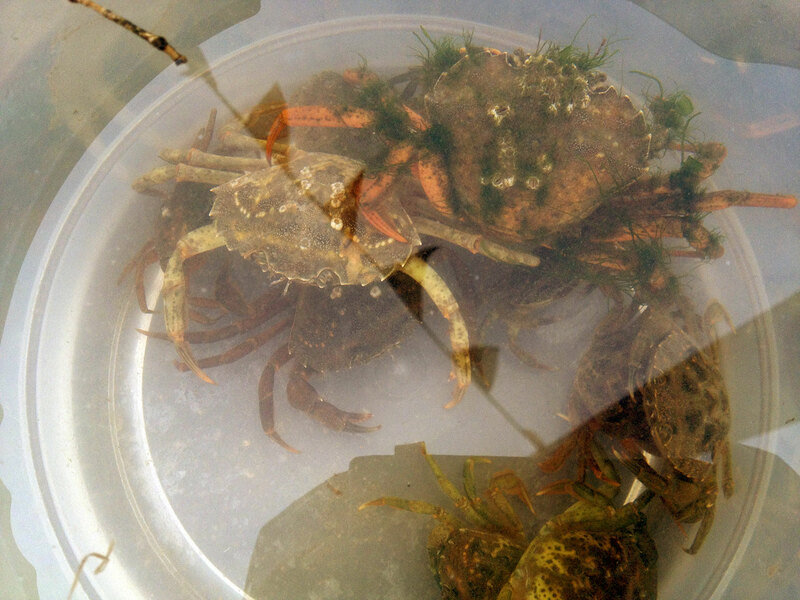 When you have finished, you can start a crab race from the quayside back to the sea! 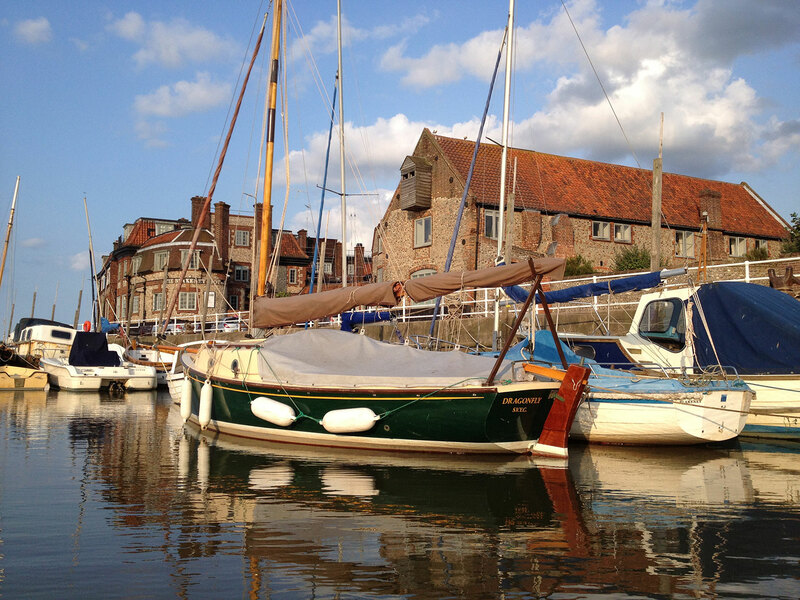 Sailing – Blakeney Quay is a popular and safe place to sail from. 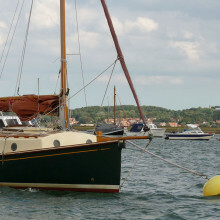 It offers excellent sailing with safe moorings at the harbour. 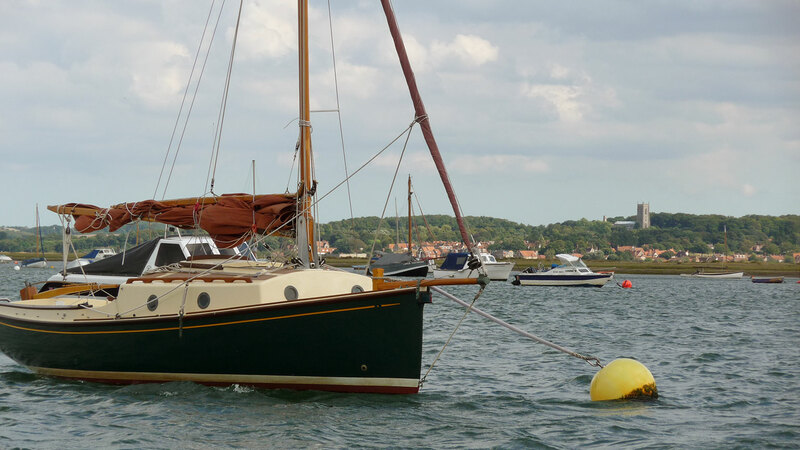 You’ll see a large collection of sea craft from boats of varying sizes to dinghy’s. 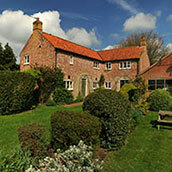 Walking – The local area has many walks, there are extensive coastal walks that follow the Norfolk Coast Path. 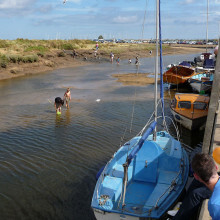 There are guided walks available from Morston Quay and the Lifeboat House Visitor Centre (located on Blakeney Point). 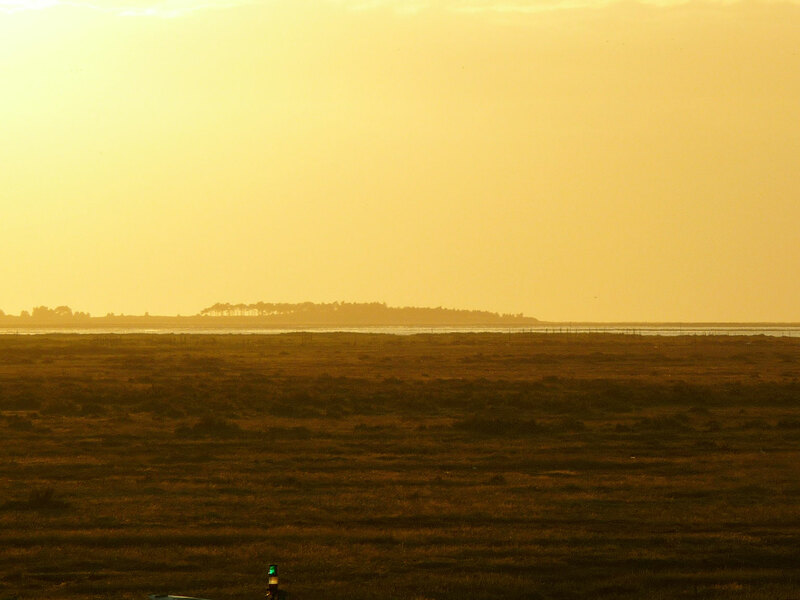 Please note that there are dog restrictions on Blakeney Point from 1st April to mid-August. Eating and Shopping – You can enjoy fresh seafood such as seasonal mussels and crabs caught that morning by the local fishermen! 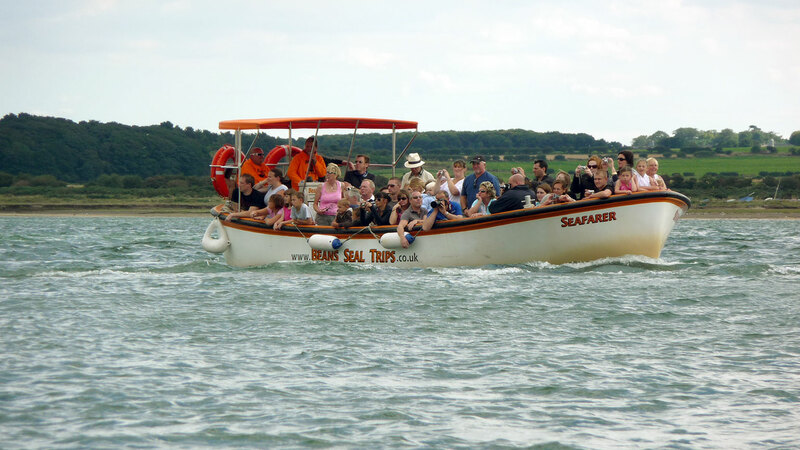 We recommend that you book a boat trip to see the wildlife close up. 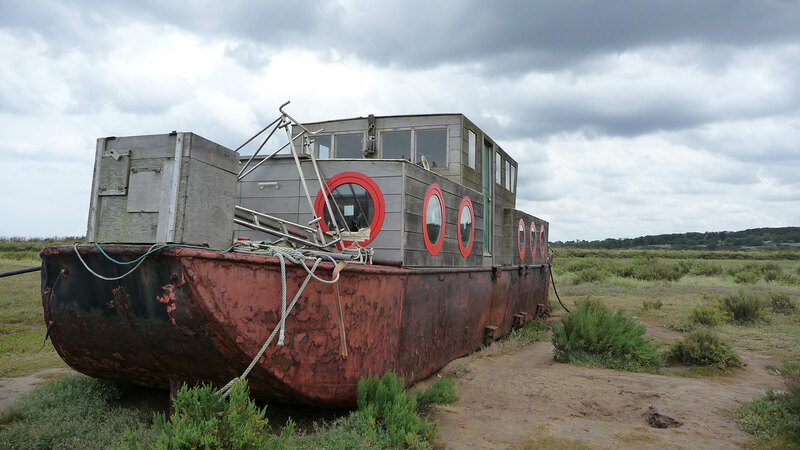 There are several locally operated ferry trips that depart from Morston Quay (just round the corner) to Blakeney Point several times a day. 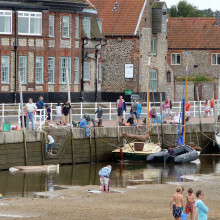 Tickets can be bought from the quayside at Blakeney. 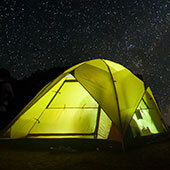 We advise that you book your tickets in advance as in the summer months it can get very busy. 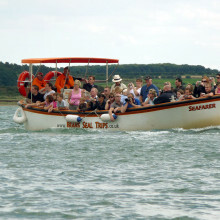 Here is a list of the boat operators that offer trips to Blakeney Point. Please book your tickets in advance directly with them. 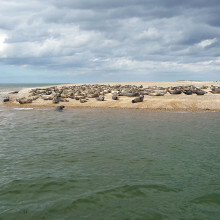 Common and Grey Seals can be seen basking on the end of Blakeney Point. 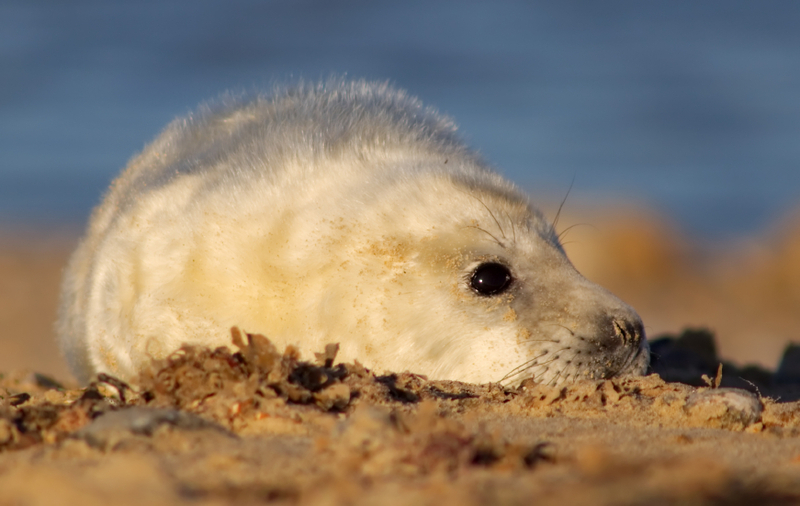 During the summer months, it’s mostly Common Seals that populate this ‘Area of Outstanding Natural Beauty’. 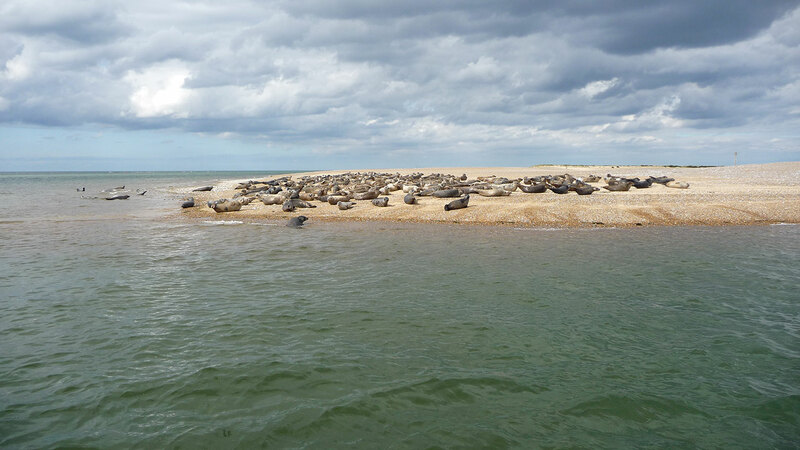 The seals arrive at Blakeney Point to have their pups. They start coming in June and will carry on arriving until the end of August. The Grey seals have their pups during November and December. Seals are curious creatures and they often swim close to the boats that run trips to The Point. 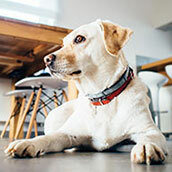 These offer fantastic opportunities to photograph these beautiful animals in their natural habitat. 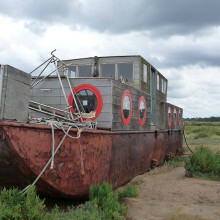 This part of Norfolk is internationally famous as a breeding ground for migrant birds. There are more than 270 species of bird to be found here. Throughout Spring and Summer you can discover Tern colonies nesting, these include Common, Artic, Little and Sandwich Terns. Boat trips to Blakeney Point allow you to view these beautiful birds close up and you’ll be able to clearly see the adults feeding their partners on the nest. Other breeds of birds that can be found nesting on Blakeney Point are Ringed Plover and Oyster Catchers. During winter months duck and geese visit. You can see Mallard, Widgeon, Pintail and Teal with Brent geese enjoying the area in vast numbers. Blakeney Point is a hot-spot for all bird watching enthusiasts! 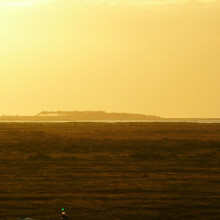 The village of Blakeney is ancient and stands overlooking the huge expanse of saltings towards the bird and seal sanctuary of Blakeney Point. The quayside is usually very busy during the summer and is surrounded by granaries and old merchants’ houses. 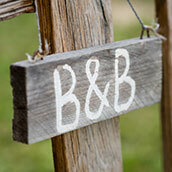 The village is typical of the many small, quaint villages positioned along this beautiful stretch of coastline. 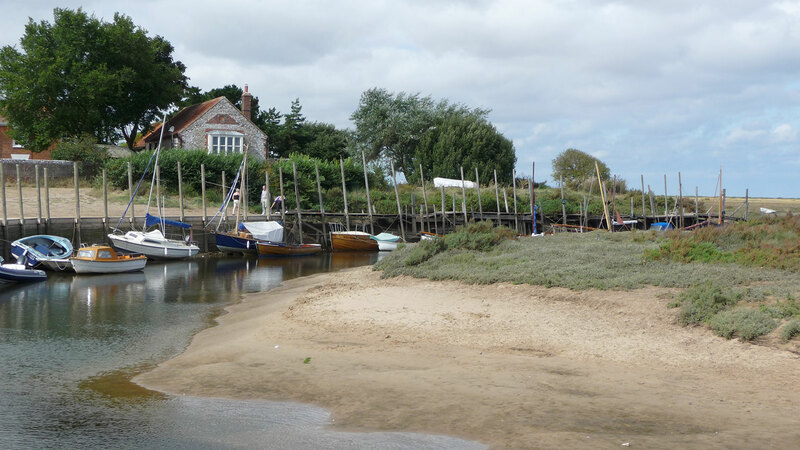 Once upon a time the village was the most important along the north Norfolk coast. 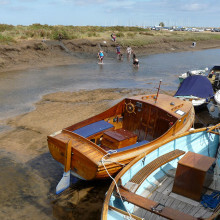 During the summer months Blakeney is a hive of activity! The narrow lanes are bustling with people. The flint cottages that line the lanes, that were once fishermen’s cottages, have been restored back to their original features and designs. 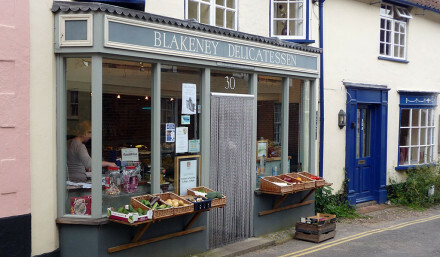 Many of them are now gift shops, delicatessens and holiday cottages. Simply browse the shops and buy local, fresh seafood. 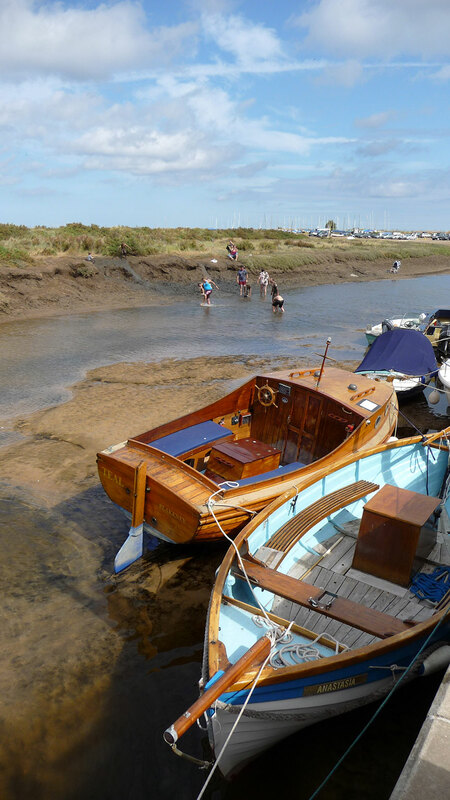 Morston mussels, samphire, fresh bread, crab and many other locally sourced products are available. The Quayside car park is free to all National Trust members, provided you display an appropriate window sticker. 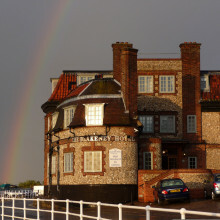 Be careful with the tides; the car park is sometimes submerged during particularly high tides! 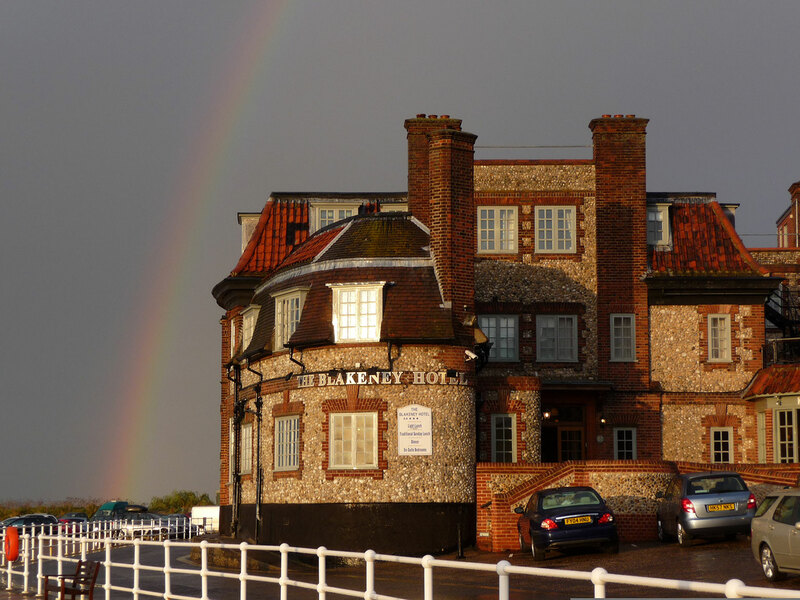 For more information, visit this handy page on parking in Blakeney by the Parish Council. 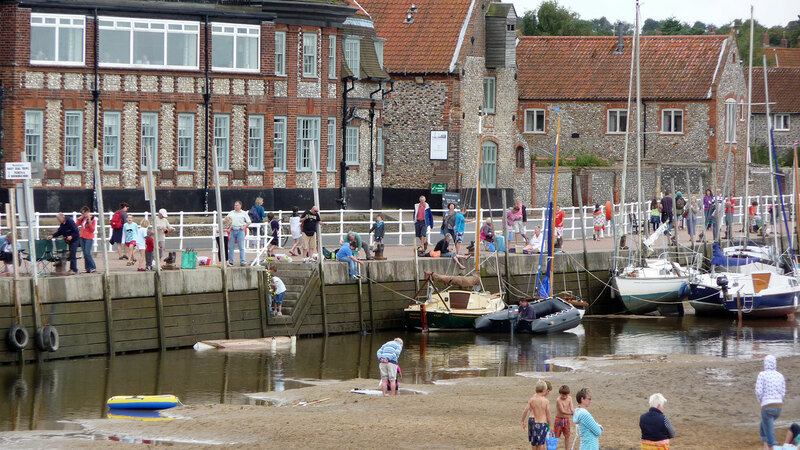 Look out for the Blakeney Aquatic Sports Day, including the famous Greasy Pole Challenge – a must-see event! This is now a well-established event with a wide selection of books in most subjects and price ranges, plus old picture postcards, maps and prints. See David Ford Books for more information.